At Network Craze, we’re not just another vendor reselling the same Cisco parts and pieces as everyone else. Our new and refurbished Cisco hardware ships with an industry leading Advanced Replacement Lifetime Warranty and savings up to 80% off Cisco list prices. But that’s not all! Every single one of your orders is as important to us as it is to you. We offer continued Cisco product support, advanced replacement, in-house certified Cisco engineers, and expert sales and support teams to help assist you with any issue. We understand the challenges of keeping a network up and running. You never know what the day will bring, or what you will need in order to keep the network up. With that in mind, we keep a large inventory of both legacy and current Cisco hardware so that we’re ready to ship what you need, when you need it. What do we stock? It’s simple – everything! Cisco wireless access points, phones, edge and core switches, Cisco compatible SFPs, modules and even mission critical routers, we have it all. Most companies today find it impossible to keep up with the pace of the hardware life cycles that Cisco sets. At Network Craze, we’re as invested in your current Cisco network as you are and want to help you keep it up and running for as long as your business needs require. Outside of our expansive inventory of legacy and current Cisco technology, we also offer customized next business day or 4 hour hardware replacement ProCare maintenance contracts to give you the extra piece of mind that your network won’t go without coverage. Technology is ever changing, so when you’re ready to upgrade your network call us! We can help you stretch your budgets by offering credit on account or trade-in value for the Cisco hardware you will be taking out. 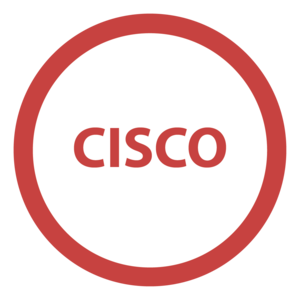 Want to discuss your current Cisco network with us? Call us anytime, we’re ready to help! Customer’s love our Refurbished Cisco products! One of my good customers called to say thank you for helping save his hospital thousands of dollars this year by providing refurbished Cisco IP phones and network switches. They love the savings, lifetime warranty and technical support!